I was thoroughly impressed with this week’s episode of Phantom World, largely for reasons I mentioned in last week’s episode impression. The series shows that it can tell a good story without it being too heavy or involved, and what we get in episode 3 is a look back at a moment in Mai’s childhood. 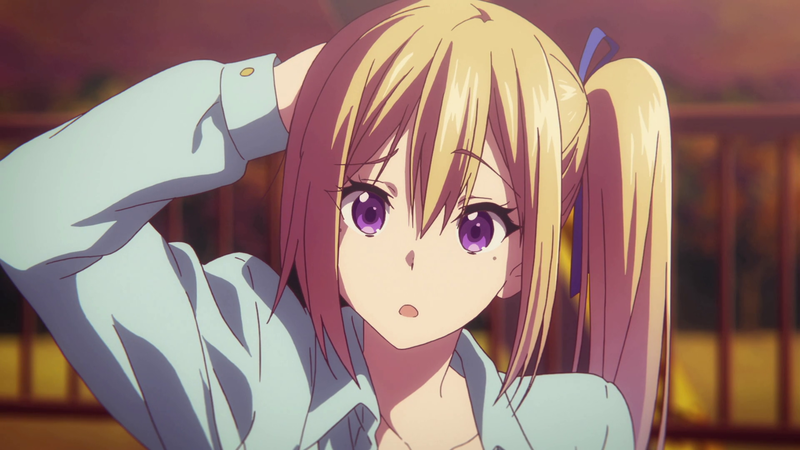 I didn’t think about it until this week, but Phantom World has a sort-of Natsume Yuujinchou vibe in that both look at how humans interact with supernatural entities, and much like the youkai in Natsume Yuujinchou, the Phantoms in Phantom World are deeply connected to the human world. As nice as it was to think that Mai might have been a shy little girl when she was younger, it turns out that she was just as much of a roughhouse as she is today, picking fights with a pair of poor girls who then, from that day forward, train their fighting skills in hopes of a rematch. Fast-forward to present day, and those two girls have taken over a bridge as their turf, in hopes of flushing out Mai. The theme of memories plays a large role in this episode, both on a scientific level in terms of how they store information concerning skills to be recalled, as well as on a more sentimental level in terms of how they influence how we view the past. In Mai’s case, her memories betrayed her perception of reality, causing her to believe she was something she wasn’t and leading her to forget two Phantoms she had fun with on one particular day. Although Phantom World plays off many of its themes with comedy, it’s still interesting to stop and think about some of the psychological things that the series touts. Much like the “myriad colors” that the series’s English title contains, the way we view the world is heavily affected by our previous experiences and the resulting memories, and no two people in this world will share the same kaleidoscopic eyepiece. In a time when an informant apparently harmless, like Snowden, represents a major threat to the United States, who would believe that a guy like Bourne is a real risk?